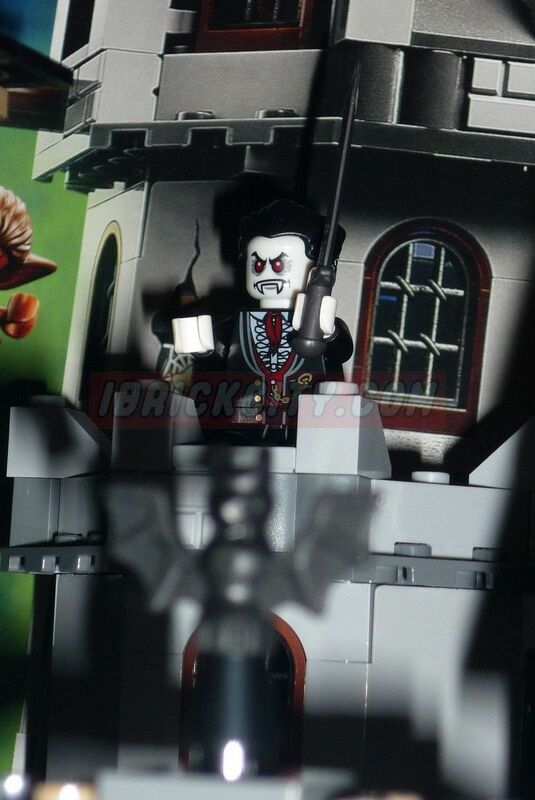 A couple of days later, the other two teenage Mutant Ninja Turtle set pictures were unveiled. And in my opinion, comparing with the other two, revealed a couple of days ago, this is absolutely a nice surprise!! 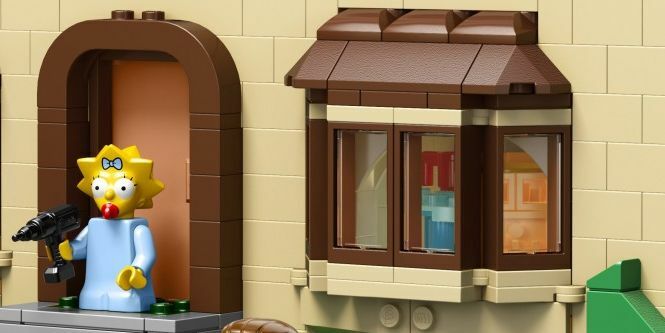 The Karai Bike Escape (79118) is the entry set, and for such a small set, it definitely brings some really nice elements that not only provide a great dose of playability, but also because they can be easily integrated in a town environment, giving it a different look from what the city elements use to bring. 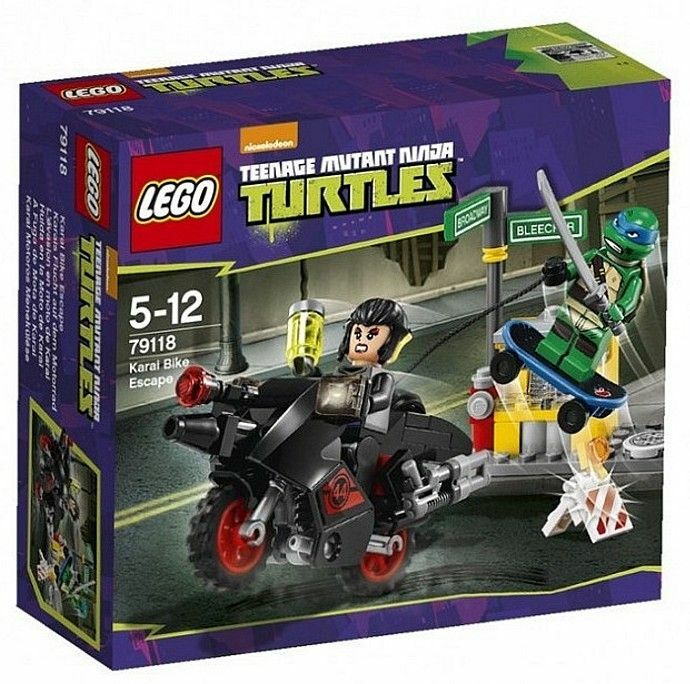 This small set features two accurate mini-figures (Leonardo and Karai) with assorted weapons (a sword for the Turtle and a shotgun for Karai), a black motorcycle, a small platform with road signs and a small vendor machine and finally a blue skate that includes a sort of small ramp for the jumps. According to its size, I would say that it will retail around the eleven or twelve dollars. Quickly we go from one edge to the other! 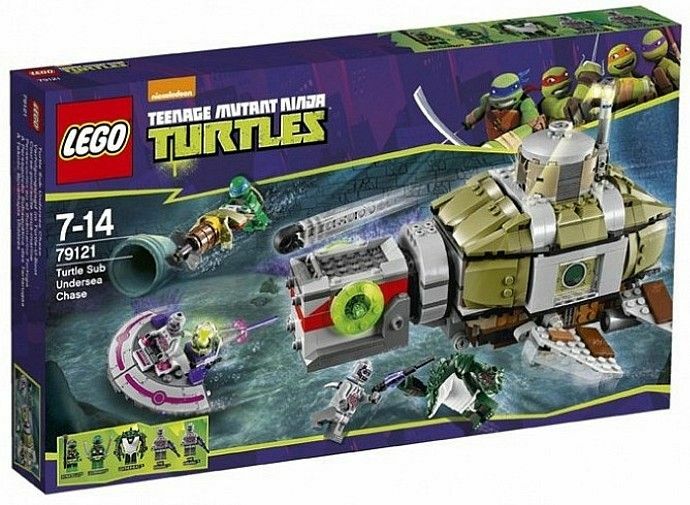 The Turtle undersea Chase (79121) is until the moment the head set of this theme with almost seven hundred pieces that featture the big turtle sub that include an additional detachable mini-sub, another mini sub (remembering the star wars republic troopers – 75001) and five mini-figures: Donatello, Leonardo, Leatherhead and two Kraangs. Pull Leonardo’s skateboard at speed in Karai Bike Escape with motorbike, mutagen canister, explode-function road sign and vending machine. Hang on tight and recover the mutagen! Karai has grabbed one of the lost mutagen canisters and is trying to escape on her super-cool motorbike. Attach a rope to the back of the bike with Leonardo and take a thrill-packed skateboard ride through the city streets. Hang on tight as Karai accelera Hang on tight and recover the mutagen! 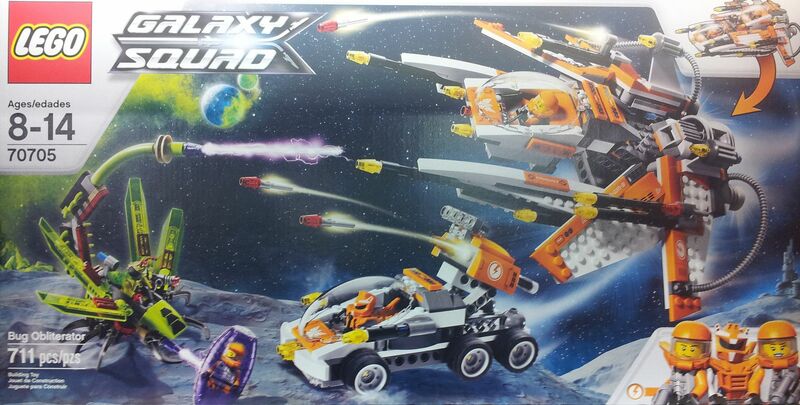 Launch a pursuit with Turtle Sub with shooter and detachable mini sub vs. the mini Kraang sub with flick missile shooter and 4 minifigures. 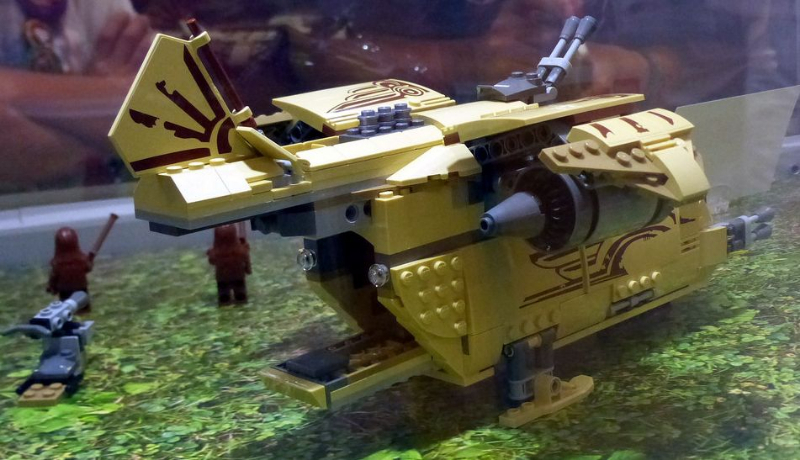 Lead an underwater pursuit of The Kraang! The Kraang have got the power cell and are getting away in their mini Kraang sub. Rev up the engine of the awesome Turtle Sub and power away in hot pursuit with Donatello, Leonardo and Leatherhead. 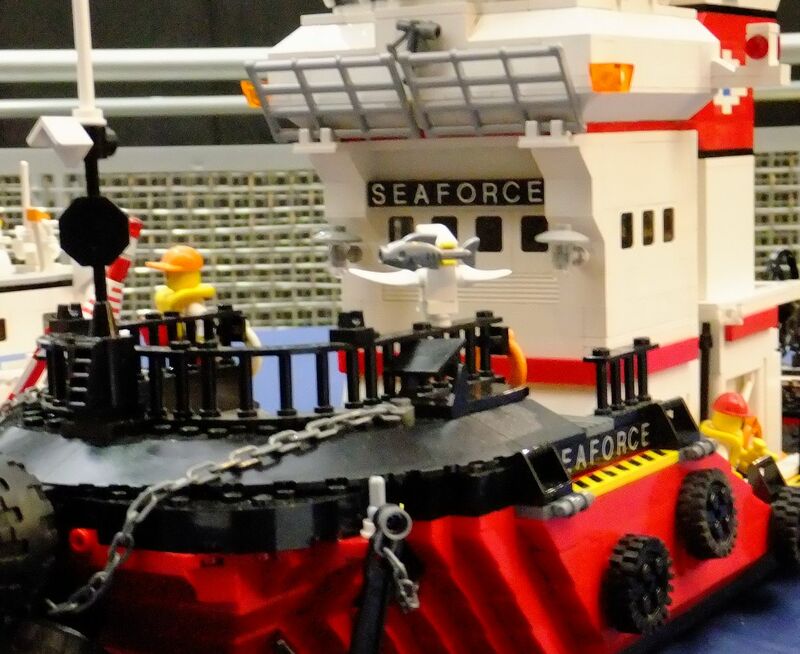 Watch out for the Kraang sub’s flick missiles, fire the s Lead an underwater pursuit of The Kraang! This entry was posted in Teenage Mutant Ninja Turtles and tagged 79118, 79121 by pedrolpais. Bookmark the permalink.